Clean up your weekday eats with these 6 easy hacks for a healthier taco night! These easy peasy taco night ideas are sure to rock your plate! Let’s face it, weeknights can be crazy with a capital BONKERS! Having a designated taco night each week can be a lifesaver. 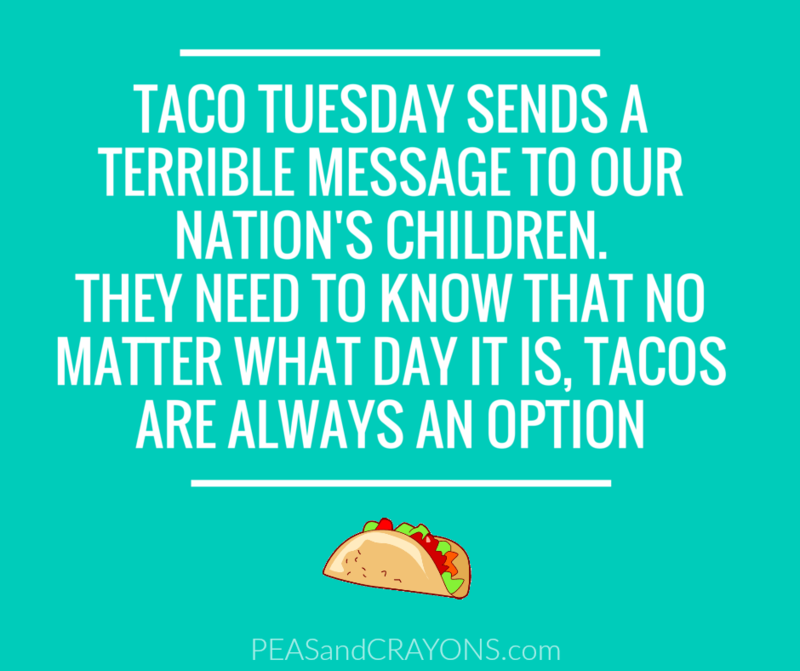 It’s easy to remember (Hellooooo Taco Tuesday! ), ultra quick to throw together, and so gosh darn customizable! You can essentially empty out your crisper and whip up some tasty tacos with whatever protein options and toppings you have on hand at a given moment. Even if your goal is to clean up your eats and slim down, taco night can still easily be a part of your healthy eating routine. Here are my favorite tips, tricks, and swaps to make the easiest meal of the week a totally tasty, totally healthy option! Try a vegetarian twist on taco night to save some calories and amp up the antioxidants. Swap out meat with taco roasted chickpeas, refried beans, grilled veggies, or even taco seasoned tofu! When you embrace your inner T-Rex, opt for pasture raised grass-fed beef, sustainable seafood, and additive-free, free-range poultry. Save calories by skipping the fried taco shells and tortilla chips and choosing baked or soft tacos. You can also choose soft corn tortillas over flour tortillas. Corn tortillas are higher in fiber, lower in fat, and overall a better choice than flour. Since making the swap, I actually prefer the taste of corn tortillas now, especially when lightly toasted on a skillet with a little avocado oil. Delicious! Another way I looove utilizing corn tortillas is in baked flauta form. They’re basically a baked taquito made with corn tortillas and all your favorite fillings. My Cheesy Baked Black Bean and Sweet Potato Flautas are one of the most popular recipes on the site and in our home… SO GOOD! 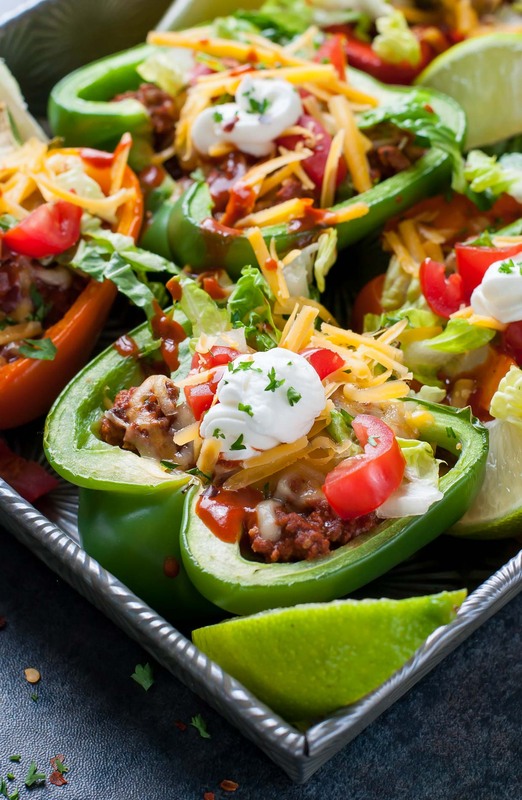 Another tasty way to guarantee a healthier taco night is to sub taco shells for bell pepper boats or stuff all your taco night favorites in a baked sweet potato. 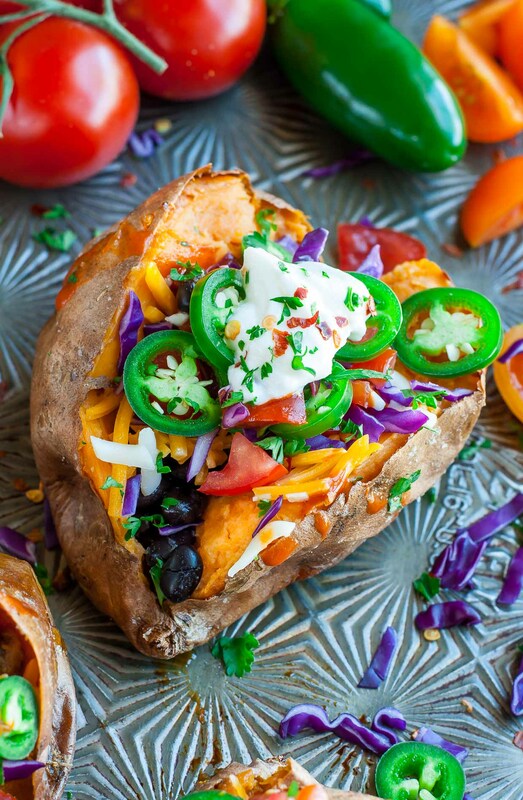 You can even roast a spaghetti squash and turn it into the most epic burrito bowl! I’m also super in love with stuffing zucchini with taco or enchilada fixin’s. I’ll bake up a big tray with more than we actually need because the leftovers are simply fantastic! Simply slice your squash in half, toss in a pot of boiling water for a minute or so to blanch, then scoop out the centers. Fill with your choice of taco filling (see tip #1 for some tasty ideas) and a little cheese if desired and bake at 350 F until hot and melty. Top with all the fresh veggies and salsa your heart desires and dig in! I’m a huge fan of adding a dollop of Greek yogurt in place of sour cream along with a mountain of lettuce and tomato. 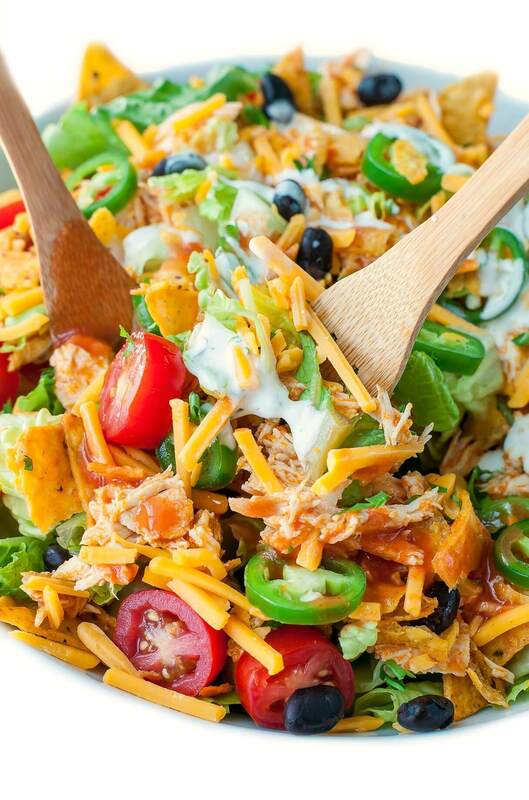 This is also a great opportunity to embrace the always-glorious taco salad as a base for all your taco toppings! 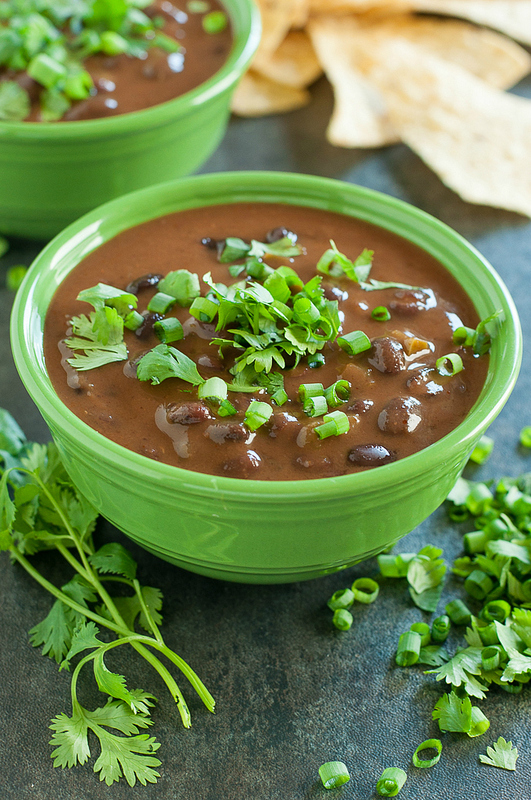 You can even turn your taco night fixin’s into a tasty (and super speedy) taco soup or pile them atop a healthy, filling black bean soup. I’m not one to advocate skipping cheese, sour cream, or even greek yogurt if you’re totally crazy for it, but going dairy-free every once in a while can shave fat and calories off your meal and still rock your plate! Reach for the hot sauce, salsa, pico de gallo, and guacamole. Each is full of flavor and oh-so-delicous. I figured if I could survive (and actually enjoy!) a month of Whole30, then I can skip dairy here and there and still remain sane and satisfied. And yes, this is coming from someone hopelessly devoted to all things cheesy! When skipping it isn’t in the cards for me, I simply use less and opt for more flavorful cheeses where a little goes a long way. Avoid excess sodium and pesky additives by whipping up your own sauces. Since you’ll be making them yourself, you can control exactly what (and how much of everything) goes into it. Salsa is always an excellent choice. Mix things up with a sassy salsa verde or a chunky + fresh pico de gallo, or simply stick with a classic restaurant-style salsa. Feeling fruity? Whip up a fruit salsa instead! I’m a big fan of Strawberry Salsa and Mango Jalapeño Salsa. When tomato season is over, by all means opt for a jarred salsa. Look for options that are additive and preservative free and relatively low in sodium and/or added sugars. My favorites are Mrs. Renfro’s Jalapeño Green Salsa and Habanero Salsa. There a lifesaver in the Fall and Winter months! This last tip is one that has stayed with me since college and is one of my favorite tricks for staying satisfied while eating sensibly. We eat with our eyes, and a fully loaded salad plate of eats looks much more satisfying than a large dinner plate with tons of empty space. Skip the dinner plate in favor of a salad plate. Seriously, try it! Load up a small plate with your taco night fare or fill the majority of a larger plate with grilled/roasted veggies or a big green side salad. Tacos are ALWAYS an option!!! That being said, what’s your favorite healthy trick for jazzing up taco night? If you get a chance to try out any of these 6 Easy Hacks for a Healthier Taco Night, let me know! You can leave me a comment here (LOVE checking those daily!) or tag @PEASandCRAYONS on Instagram so I can happy dance over your creations. I can’t wait to see what you whip up! You always know how to make fresh food so delicious and appealing!! I’m with you, corn tortillas all the way… and tacos each and every day. You’re the sweetest, thanks friend! And yes — all the tacos! Lately I’ve been on a breakfast taco kick like CRAZY!